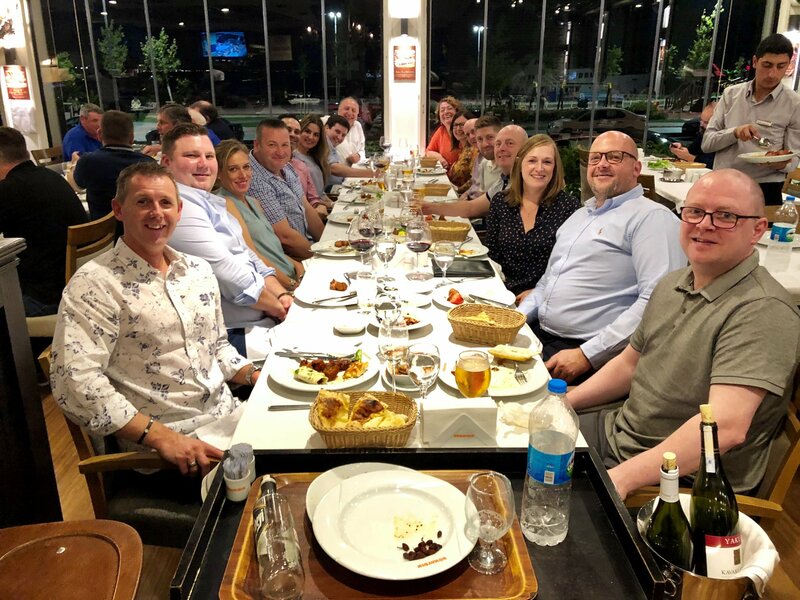 AWM Limited held our exclusive Key Dealer Meeting last week at the HQ of our partners Baykon Industrial in Istanbul, Turkey. The meeting was an unmitigated success, not just for the incredible hospitality and kindness of our hosts but for the opportunity for our partners to see first-hand how impressive Baykon really is as a company with their dedicated and friendly team, high quality product range, forward thinking R&D department and exciting new products that we are going to be launching in the UK very soon. Baykon hosted us for 3 days in their beautiful city and treated us to some amazing local food, drink and entertainment. 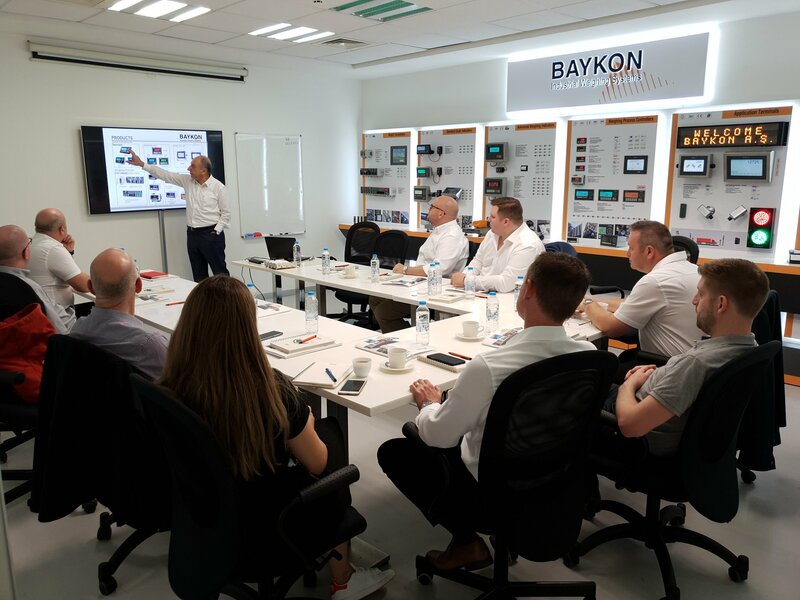 As well as the fun and enjoyment of seeing Istanbul we were given a tour of the Baykon factory and trained on all of the impressive weighing and process control solutions that are available in their comprehensive product range. You can click on the following links to view the Baykon Weight Indicators, Baykon Weight Transmitters and Baykon Process Controllers and contact us today for further information and pricing. Since becoming the UK distributor for Baykon and launching their products here just over a year ago, we have seen the Baykon brand shoot to prominence in the UK Weighing Industry. Baykon products easily compete with established brand names and surpass them on quality and affordability. If you are interested in becoming a distributor for AWM and Baykon please contact us today and we will be pleased to provide you with further information on our products and services. We are getting great emails and comments on our social media from those who attended this years event, with many calling it the "Best Meeting Ever" (a pretty high accolade considering the escapades we have got up to on previous meetings!). We will be holding an open invite UK Dealer Meeting at our offices in Bury St Edmunds later this year (I know it's not Istanbul but it's a nice town none the less!) and we will be sending out invites for this event soon. Here are just some of the great comments we have received about the meeting, we look forward to welcoming you to the next Dealer event! "Thank you so much for your hospitality over the last few days, it is a pleasure to be involved with such a forward thinking company. Not to mention the beautiful city you are located in. I look forward to meeting you all again soon." "Thank you to AWM and Baykon for your hospitality. Your city is beautiful and the people in your company highlighted your company ethos as "nothing was a problem". We are excited to see the next 12 months unfold and look forward to joining you on the journey. I look forward to catching up with you in the near future. Once again thank you for a great experience"
"The factory visit and briefings were really useful. I think everyone came away seriously impressed with the company, set up and product range. The new equipment looks like it will be a real winner. I certainly think we'll be using a lot of it in the future." "Our hosts were fantastic in every way. We were given the full VIP treatment - a great success!" This month has seen new videos added to our Youtube page, providing you with 'how to' guides and overviews of our latest projects, another Tech Topics Blog release, new training sessions with our trade partners, an increase in custom platform orders, a new partnership announcement, some staff news and multiple birthday celebrations...it's busy times here at AWM! Click here to view the Issue No.8 Newsletter Online! Supply chain technology delivers maximum impact when hardware and software are seamlessly integrated, serving as the backbone for all the operational and administrative processes of your organisation. This philosophy has been successfully implemented by us at Global Barcode and our trusted partner companies, providing a wealth of experience in AIDC hardware, RFID and wireless infrastructure. We are announcing our latest partnership with AWM Ltd, a leading Weighing and Process Control company based in Bury St Edmunds, Suffolk. 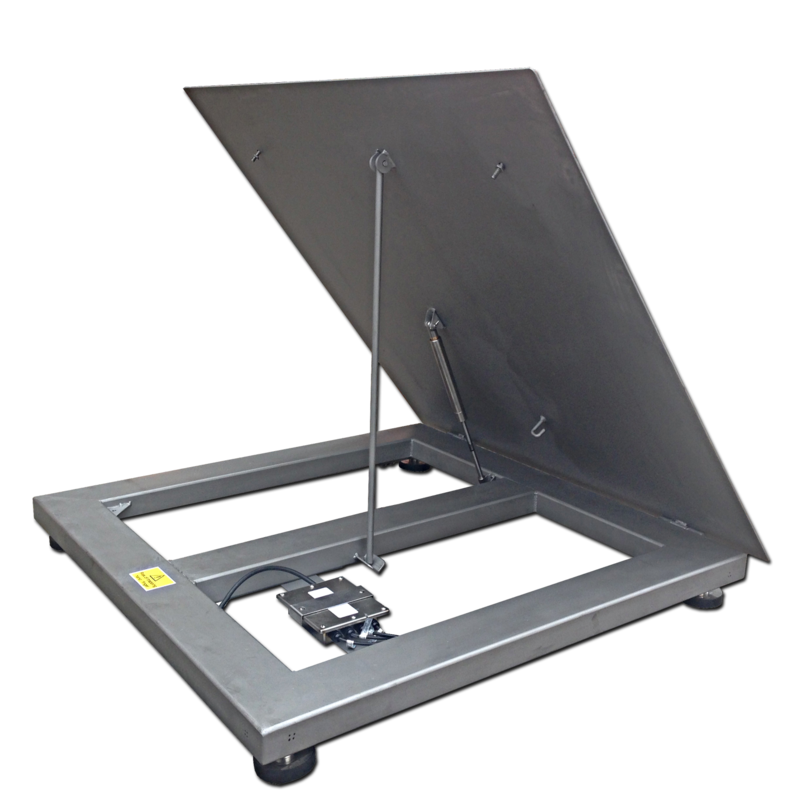 Through a network of distributors they supply and support innovative weighing solutions ranging from simple bench and parcel scales to portable wireless weigh beams and floor scales. AWM have been manufacturing their industry leading scales in the UK since 1989 and offer standard sizes and capacities off the shelf for next day delivery. Their experienced fabricators can also custom build scales to exact specifications, allowing them to meet any project requirement. AWM platform scales come with a 2 year warranty and through their distributors they offer unmatched service support covering the whole of the UK. The warehousing and logistics scales are designed to be portable and compact in order to occupy minimal floor space and integrate seamlessly into busy day to day warehousing operations. AWM Business Development Manager James Hobbs said "We are very excited to partner with Global Barcode to bring our cutting-edge weighing solutions to the warehousing and logistics industry. Our expertise in weighing and process control perfectly complements Global's cutting edge RFID & Barcoding technology and together we offer customers the complete Warehouse Management and product tracking solution." The symbiosis and shared intellect of our two organisations allow a lean, scalable and agile solution, incorporating the weighing process into the warehouse management system. This approach will support constantly evolving processes and deliver a competitive advantage and ensure that healthy margins are maintained. Even with 30-degree heatwave this month, we have been super busy filming case studies in local food factories, shooting our first 360 product images, organising our latest dealer meeting to Istanbul, starting a new Tech Topics blog on our website and enjoying a really busy month for our Weighbridge test unit! Click here to view the Issue No.7 Newsletter Online! 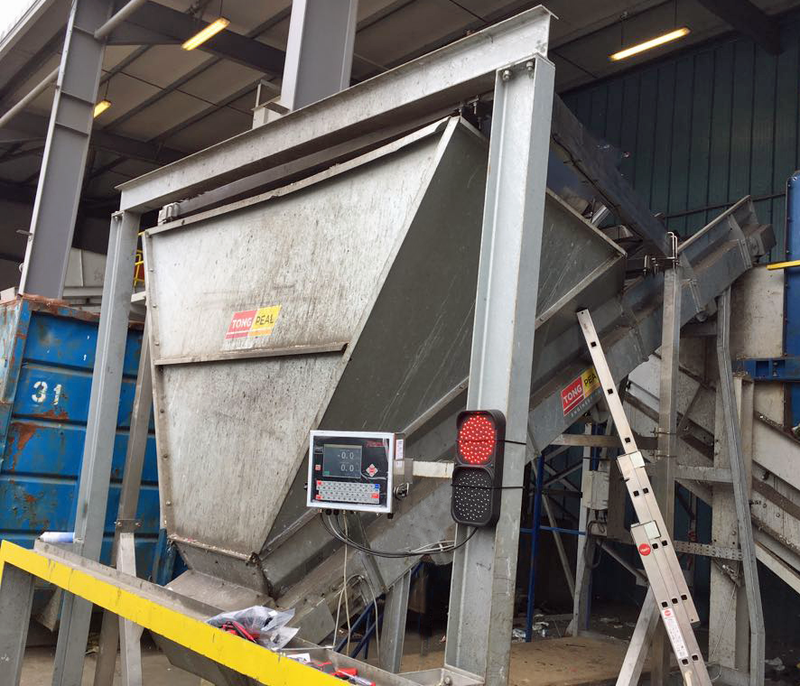 AWM Limited, alongside one of their trade partners, recently installed a dual scale waste weighing system to monitor the raw material input for a leading Plastics Company. Prior to the installation the company was having to estimate the amount of bottles and recycled plastics going into their process from volumetric data. AWM were tasked with designing a waste weighing system that would enable an accurate measurement of the amount of plastic material being entered into the process in loose and bale form. The solution was to install two scales, one hopper scale for the loose plastics and one platform scale for the plastic bales. Both scales were connected to a Cardinal 825 Programmable Weight Indicator which continually monitors the weight input and waits for the waste material to be loaded on either scale. The hopper scale controls a large traffic light which turns green when the hopper is ready to fill and red when it has reached it's maximum weight. This ensures the hopper is never overloaded by letting the loader driver know when to stop filling. Once the target weight has been met, the 825 Indicator waits for stability and then records the weight into it's on-board memory and adds the weighing record to an html report file that can be viewed and downloaded from any PC on the network. The indicator then turns on the conveyor system to remove the material from the hopper and once empty turns it off ready for the next load. At the same time that the hopper is being filled, a forklift driver can load bales of plastic onto a second platform scale that the 825 Weight Indicator is also monitoring. Once the weight is over a set threshold and stable, the 825 records the weight data and adds it to the html report file. The key to this solution is that the weight of raw material inputted into the system is accurately captured but the speed of the loading operation is maintained. We supplied the complete turn-key solution from the Hopper and Weight Indicator with custom control software to the Traffic Lights and platform scale. We can Provide the Solution to any waste weighing requirement. Please contact us on sales@awmltd.com or call +44 (0)1284 701222 for further information or to request a quotation. We hope that those of you who were lucky enough to have been allocated a team in our World Cup Sweepstake have been following our blog! Tickets to watch an upcoming England game at Wembley await the company who drew the winning team! In other news, we have been really busy building platforms and custom frames and getting our teeth into new case study videos for the marketing team. Amongst all this we did find time to kick back and enjoy the lovely weather with a company BBQ! Click here to view the Issue No.6 Newsletter Online! As you may well know, we have a brand new Test Unit Trailer! As it looks so awesome, we decided to get a video of it in action whilst it was undertaking a real life weighbridge calibration. In the video below you can see Gary, our friendly EWT driver, show off his loading and unloading skills, the operation of the beaver tail ramps and how he performs every weighbridge calibration safely and efficiently. Check out the video below! Do you have a weighbridge that needs weight testing or calibrating? Why not book us for your next weighbridge calibration or verification? Our Test Unit is available for UK hire at highly competitive rates, please contact us for long term booking or special requirements. You can book the test unit online by visiting www.weighbridgetesting.co.uk or email bookings@weighbridgetesting.co.uk. You can also check availability on our live online calendar here! 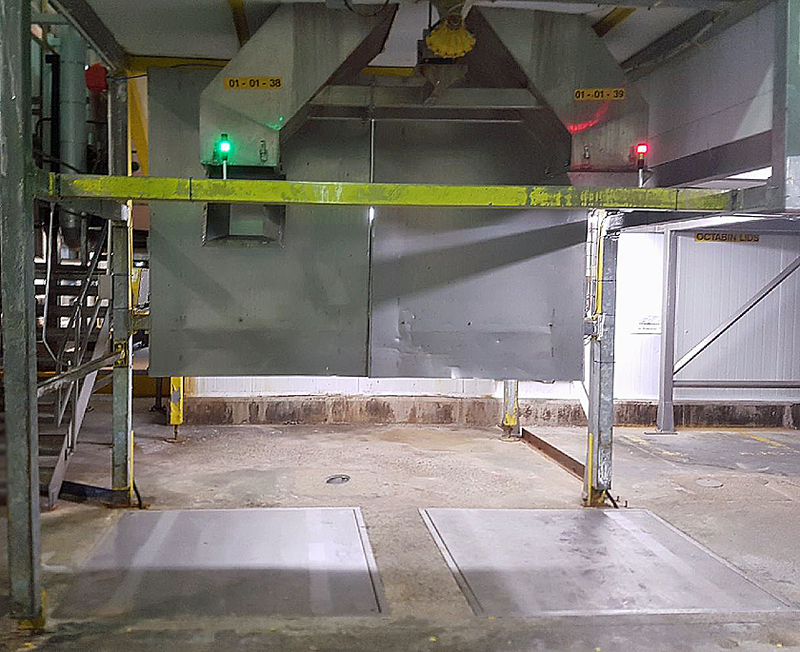 One of our trade partners recently upgraded four of their customer's standard platform scales to VWSLT Stainless Steel Lift-Tops, reducing the time and man power required for end of shift wash-down at their factory and reducing their manual handling for Health and Safety. This latest investment follows last year's installation of multiple Cardinal 825 indicators with custom filling software that controls the flow and packaging of their market leading frozen food produce. 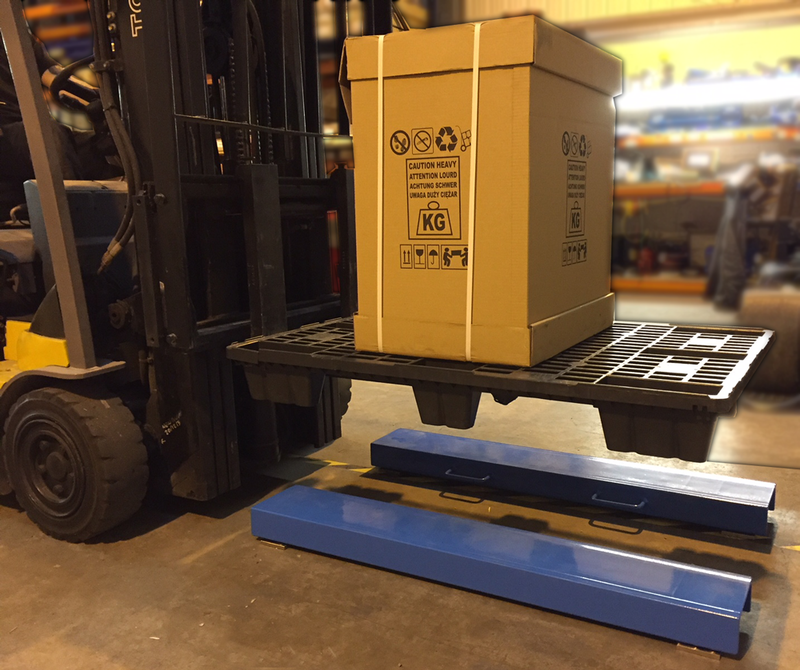 Along with the upgrade to their new lift top platform scales, the customer has recently taken advantage of the future-proof nature of the 825 indicators and AWM's custom software by easily adding even more key features to their weighing software. The current modifications include adding in automated delays to the filling triggers and fitting light beacons that are triggered at specific points in the filling process to provide the operator with a visual display of the fill status. Our trade partner said:"Your platforms have now been fitted and look great. The beacons have been installed and look really bright. The customer told me "If they can't see those, they want shooting" I presume this means that they are happy with them! Thanks for your help, I had visions of a mad rush before the harvest started, but it looks like everything will be finished with plenty of time to spare"
"We always strive to make our software and hardware solutions as future-proof as possible allowing them to evolve with our customers requirements". Please contact us for further information on sales@awmltd.com or call +44 (0)1284 701222. The new trailer will be used from today onward for all upcoming bookings - look out for it on your next weighbridge calibration or verification! The investment in this top of the range Montracon custom design test unit trailer supports EWT's hugely successful introduction to the weighbridge testing market and ensures their UK wide weighbridge testing service is even more efficient, cost effective and reliable for their network of weighing trade customers. EWT's Driver, Gary Debenham is really pleased with the new trailer. Gary said "The new test unit trailer is going to make our service even more efficient and reliable. We have designed it to be shorter for easier manoeuvring where access is difficult and with shallow full width flip toe ramps to make it safer in inclement weather. We have also added some other great features too which include the secure storage boxes, electrical power pack for the ramps, rear drop down landing legs for greater stability when we are loading and unloading the weights and a twin strap edge protection for better safety. Of course the 35mm Keruing Hardwood floor give it a great, classy looking finish too!" Process Control. It's the hot topic this month and an exciting new area of focus for us here at AWM. 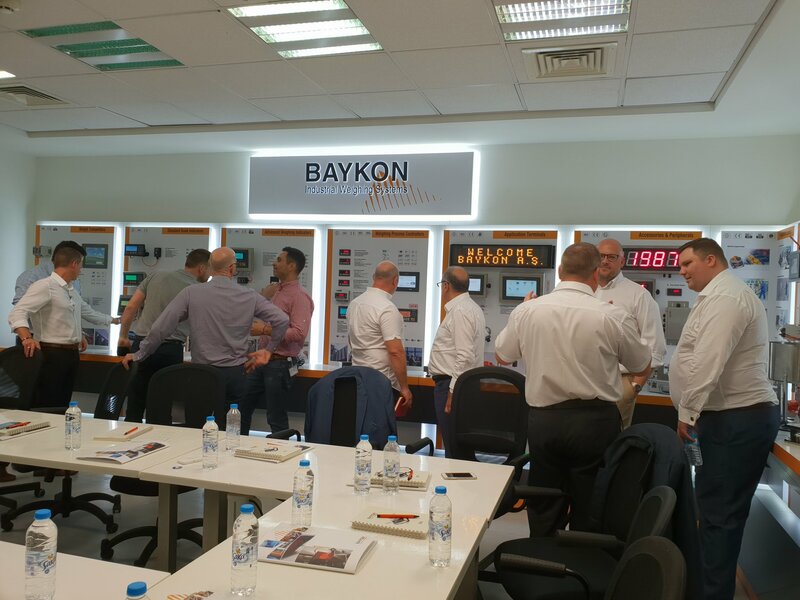 Following the launch of the excellent Baykon BX30 range of process controllers and a successful month of promotion and sales, James and Mark headed off to Baykon in Istanbul for sales and technical training - we are always looking to increase our knowledge to better support our partners! Click here to view the May Newsletter Online!